With Mother’s Day approaching and spring in the air, we see new life everywhere and it reminds us of our own life, a gift from our parents. Mother’s Day originated with the ancient Greeks and Romans who celebrated an annual spring festival dedicated to their maternal goddesses. Today we celebrate Mother’s Day and honor all mothers, moms, mommies, grandmas, grammies, grannies and nanas, thanking them for the gifts of life and love that they provide for us and their constant support. What a brilliant way to show mom how much you care by giving her crystals this Mother’s Day! Pregnancy and becoming a mother is a fantastic time in any woman’s life. For those moms-to-be, pregnancy is filled with joy and anticipation for the journey of motherhood. Moonstone’s gentle, feminine energies are very supportive of pregnancy and childbirth. It can also encourage fertility in those wishing to get pregnant. Some other crystals include Unakite, which is supportive of healthy pregnancies, and Azurite to assist in the development of the fetus. The mom-to-be can even place crystals directly on her “momma belly” for the baby to feel all the wonderful energies. Once the baby arrives, undoubtedly there will be non-stop activity for the new mother. Chalcedony can help get those maternal instincts going and is also a great crystal for nursing mothers. When mom is finally able to lie down at night, Amethyst under the pillow can help her sleep to be more restful. 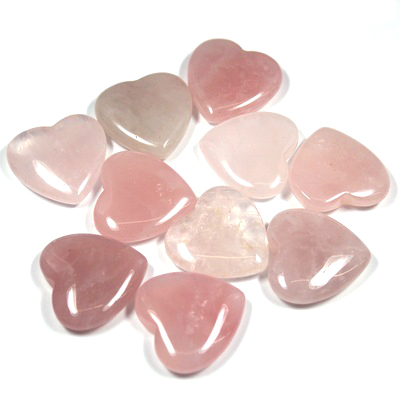 Rose Quartz on the nightstand and placed throughout the house will bring in love to help combat the stress of having a new baby around and help remind the parents of their love for each other. The new baby will enjoy the loving energies too. When baby is having trouble resting, Charoite can help him/her to calm and rest peacefully. A well-rested baby and some mommy-time will help to keep mom balanced and focused for when baby is ready to experience the world. Once those babies start moving, they don’t seem to slow down for much, and mom will have to stay on her toes to keep up. Gem elixirs are a great way for a busy mom to get more from her crystals when on the go. For reference, here is an article and a YouTube video with directions on how to make your own elixir. She can even add a crystal to her bottle of water when on the go. Rose Quartz, Amethyst and Clear Quartz are an excellent combination to keep mom energized and balanced during the entire day. If stress starts to feel overwhelming, she could try a Blue Lace Agate Crystal in her water to encourage relaxing energies and bring her peace of mind. Working moms are truly amazing at how they can balance work, home and family in a seemingly effortless fashion. Juggling schedules for all members of the family while trying to maintain your own career is an exhausting endeavor for anyone. For mom’s workspace, Black Tourmaline is great for deflecting negativity and Honey Calcite can help keep her safe from office gossip. Celestite is a wonderful friend after a long day at work. Adding Celestite to bath water will make mom’s bath even more relaxing as it eases away muscle and mental tensions. When mom’s feet are sore from a long day on her feet, suggest she try using a crystal wand to massage her achy feet. A Sodalite wand can have just the soothing effect she needs. One of the most challenging times in a mother’s life can be dealing with their teenage children. When at the end of the rope, Red Garnet can help mom control her anger and Chrysoprase can help her to avoid speaking from anger. Obsidian can help to overcome frustrations from dealing with a stubborn or difficult child. Mom should turn to Black Onyx when having worries or fears for her children. It always helps to have Moonstone around for those teenagers too. Moonstone will help to balance the hormones that can create mood swings. After the children have moved on to families of their own, mom moves on to a new role in her life too, as a grandmother. For Grandma, Morganite encourages unconditional love and encourages her to enjoy life to the fullest. Amber can bring vitality and Sunstone fills mom’s life with energy and happiness. When Grandma is babysitting, she may find Howlite helps her to be patient with the little ones. Of course grandma could still use a relaxing crystal bath too after all the family heads home. A blend of Mangano Calcite and Green Calcite will create a bath that releases tension and anxiety, but also helps with inflammation and boosts the immune system. She is your mother. She loves you above everyone else, cares for you in times of need, and is your biggest fan. She looks past our flaws to see the radiance shining from within. You have her heart forever and mom holds a special place in your heart too. May every mom have a blessed Mother’s Day filled with love and family! Crystal Blessings!